An international aluminium fabricator has been fined after a worker severed two fingers when his left hand was trapped in the loading clamps of a metal extrusion machine. 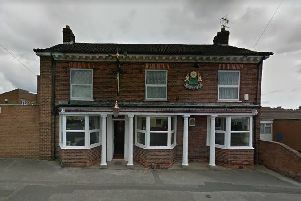 Chesterfield magistrates’ court heard, on Wednesday, March 18, how the 41-year-old, from Tibshelf, lost the end of his little finger and his ring finger to his second joint and suffered burns after the incident at Sapa Profiles UK last March. Lindsay Bentley, prosecuting for the Health and Safety Executive, said the man was unblocking the machine when the accident happened. The HSE discovered the interlocks on the machine did not fully isolate the power when it was opened to be unblocked so when it was restarted the loading clamps were operational. The company was found to have failed to carry out a risk assessment. Sapa, of Mansfield Road, Tibshelf, was fined £20,000 and ordered to pay £1,784.50 in costs and a £120 victim surcharge, after pleading guilty to breaching health and safety and use of equipment regulations. The man has returned to work in a different role. Defence solicitor Hayley Saunders, representing Sapa, explained the company takes health and safety extremely seriously despite one of their workers severing two fingers in an accident. Ms Saunders added that the company took immediate steps to rectify the locking system and strives to improve safety.